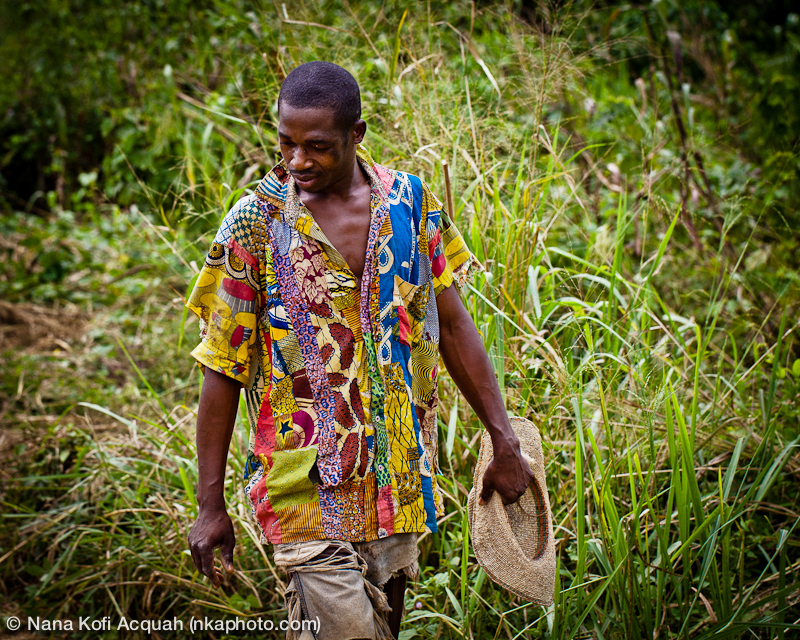 I was originally going to write a post on why one shouldn’t date a goat but then saw this photograph I have of an Ivorian Cocoa Farmer. I find his pose and stride intriguing. His clothes are tattered. He holds his hat like a cowboy who just got off his horse. I love the image. He’s poor but cool. I wish I could change the poor bit. I have always said Africa’s poverty is just the by product of a leadership crisis. A perpetual leadership crisis. It’s like having a land that never sees sunshine; and yet wonder why its citizens are depressed. It is like having a land that never sees rainfall, and wondering why the ground is hard. This photograph shames me and inspires me at the same time. I guess that’s why I can’t stop looking at it. I don’t know if a day goes by when someone in my house doesn’t eat something with cocoa in it. How can the one who feeds the world go to bed on an empty stomach? It is an unfathomable paradox but so true. He feeds the world but sleeps hungry… because he’s in Africa. The Ivory Coast is the world’s number one producer of cocoa.